The National Transport Authority (NTA) has today launched the Core Bus Corridor Project which involves the implementation of continuous bus lanes along 16 key radial bus corridors around Dublin. Blanchardstown to City Centre is one to these key routes. Works to facilitate the route 8km route and cycle lane will affect 100 properties and 87 parking spaces. Some 200 trees will be removed as well. The NTA estimate it will cut journey times by half. 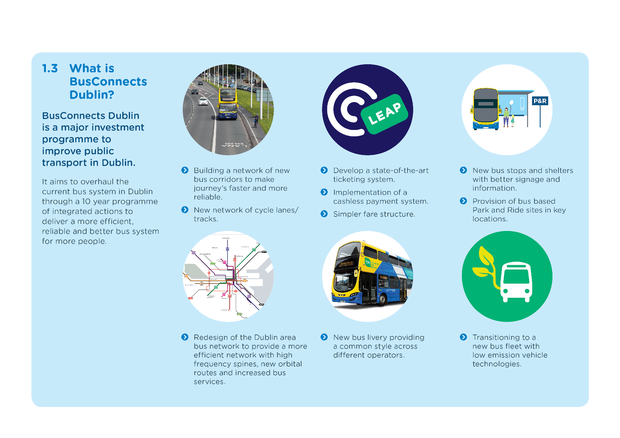 It is part of the overall BusConnects programme to transform Dublin’s bus system to deliver a more efficient, reliable and better bus system for more people. The first stage of the Core Bus Corridor Project is the public consultation process which will take place on a phased basis between now and next May. Each phase will involve consultation on a set number of corridors over a period of months. 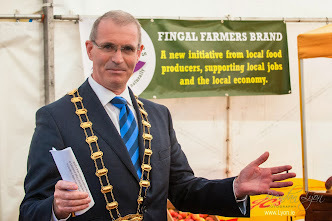 Details of the phasing of the public consultation process are set out below. To facilitate the Blanchardstown route 100 properties and 87 parking spaces will be afffected and 200 trees removed along the 8km route will include a cycle lane. At the outset of each phase, the NTA will issue information letters directly to any house or business whose garden or frontage may have to be acquired. These letters have already been sent in the case of the four corridors in Phase 1. A similar process of public consultation will be followed early next year for the remaining phases. More detailed information on the Core Bus Corridor Project is available on the BusConnects website,www.busconnects.ie.